A JSS 2 student of Ableway International School, Aba left every one astonished with the creative construction of a stadium. The stadium prototype was a midterm break project given to the entire class by his CCA teacher. 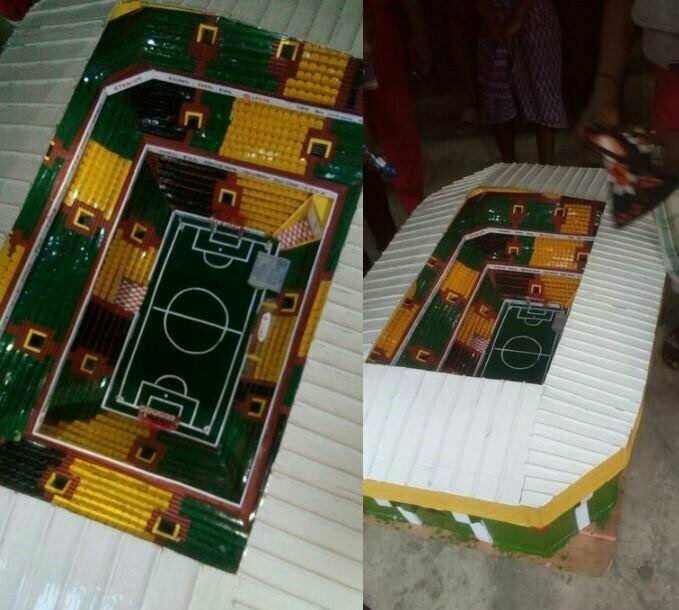 The 14-year-old boy constructed the stadium prototype from scratch by the help of his brother who supplied him with local materials. It was gathered that his brother is an Engineering student of UNN. It was recorded that the stadium is fully equipped with modern facilities. It has dressing rooms for both host and visiting teams, a central light that illuminates the entire stadium, a small central television coverage etc. The young boy carried out an exhibition after his brother added a finishing touch the work. 0 Response to "Wow! 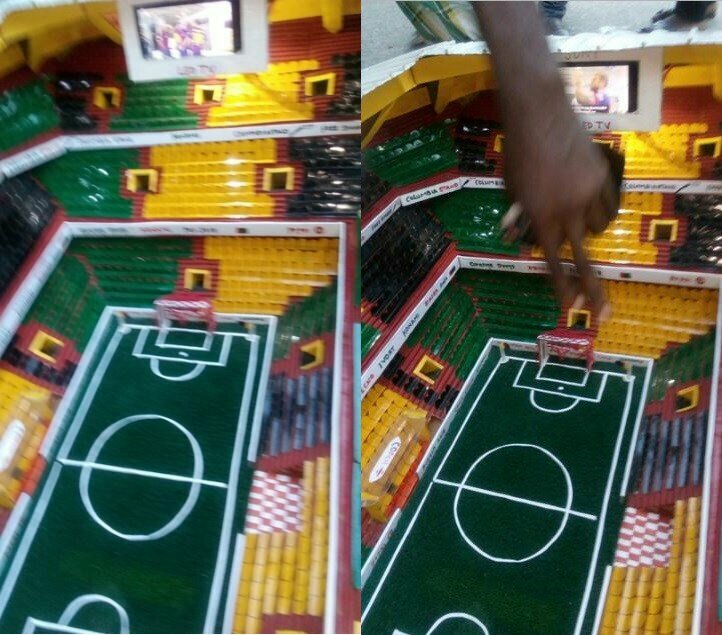 JSS 2 Boy Constructs a Fully Equipped Stadium in Aba"